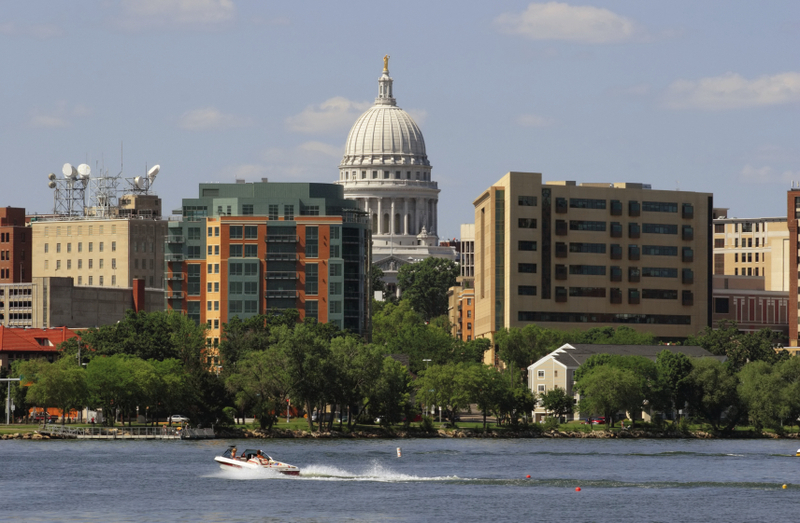 Madison, WI area Real Estate and Community Information Blog. Videos, Maps, MLS data, Housing Statistics, Mortgage Calculator, Informative Posts, Listings, Open Houses, and much more on everything to do with the Madison Real Estate Marketplace. Does your Madison, WI Home Need a Marketing Stimulus Plan? Our Marketing Plan- Do other REALTORS make their's available? Do you wonder why? Wisconsin Foreclosure Resources- Help when you need it most. Up To Date Local Market Statistics- Customized Market Stats for your Specific Area. Great for Buyers and Sellers alike! Search Dane County Area Homes- Search for thousands of homes for sale. ***Open House- Sunday October 14th 1-3pm*** This exquisite well maintained 4 bedroom/3.5 bath home is nestled upon the hillside with panoramic western sunset views over the village & countryside! The floor plan is open, wood floors in dining room & living room, fireplace in the family room. Kitchen features-extra tall cabinets/breakfast bar w/ all appliances including new stainless steel refrigerator & microwave. The master is spacious w/ private bath & laundry just around the corner. The lower level is exposed with large rec room/full bath & 4th bedroom. New Lower Price on Sun Prairie, WI Condo!!! Solid Condo Association with high reserve funds. Bright & Sunny ranch end unit. Open great room with hardwood floors, vaulted ceilings, gorgeous kitchen w/ granite & newer stainless steel appliances open to dining & living rm with gas fireplace. Plus sunroom & spacious deck! Also on main level:master w/ walk-in closet & private bath, another large bedrm & full bathrm.Spacious finished lower level w/ Huge family/media room wired for surround sound, dry bar, den & 3rd bathrm. Low $135/month condo fees! Savannah Village Real Estate Market Report for May 2011 continues to show us a oversatuated market. With only 15 homes sold here last year and 26 currently on the market this gives us over 20 Months Supply of Homes on the Market. Average Days on Market for Sold Homes is around 120 days- this number could go up with what is happening with the under contract and active numbers. Under Contract is sitting at 182 Days on Market and Active is just over 200 Days on Market. Definitely not good indicators. Homes are still getting around 92%-93% of intial asking price and averaging around $118/sq ft. Looking like Savannah Village will be in a Buyer's Market for the foreseeable future. East View Heights- Verona, WI Real Estate Market shows us a pretty typical Buyer's Market. With approximately 10 Months Supply of Homes currently available, around 75 days on market for sold homes, and Sellers getting around 94% of their original asking price all indicators seem to be pointing in the same direction. The couple of homes currently under contract and the Average Days on Market for active homes sitting at 94 days also seem to fall in line. The one slightly concerning sign is that no homes sold in the past 3 months here. Hopefully we can attribute that to the winter season where home sales always seem to dip a bit. All in all- East View Heights Real Estate Market appears to be moving at a pretty good pace. Centennial Heights Neighborhood in Waunakee, WI has a market that is a bit split. By most accounts it is a Seller's Market with between 2-4 months (depending on the period used) of Supply of Homes on the Market. Days on Market for Sold Homes is averaging around 52 days and homes have been recently getting around 96.5% of their first list price. Indicators pointing us the other way are the fact that no homes are currently under contract and the active homes have been there quite a bit longer than the average days for the sold. This could be because of the much higher price range that the currently active homes are sitting in more than anything else. Even within one small neighborhood we can have more than one market going on at a time. North Ridge Estates Neighborhood in Waunakee, WI is currently in a Seller's Market with just over 5 Months Supply of Homes for sale. Sold homes are selling for an average of $350,000 and are getting around 93% of their original asking price. To the 3 active listings it probably doesn't feel much like a Seller's Market though as they have been for sale for an average of 350 days. With such a low number of listings any new homes that hit the market will push us over the 6 month mark and into what would be considered a Buyer's Market. This Spring it will be interesting to see if the new homes that are added to the market can be absorbed at a faster pace then the .58/month average that has happened over the last 12 months. Glacier Crossing~The Crossing Neighborhood in Madison, WI is a Neighborhood that by most indicators appears to be in a Seller's Market. With under 5 Months of Supply of Homes on the Market, Average Days on Market for Sold homes well under 90 days, and active homes average time on the market being quite low as well things look pretty good. A couple of indicators that are pointing the other way would be the length of time that Pending Homes (Homes under contract) are on the Market and the Absorption Rate Trend definitely trending down. 4.69 to 9.00 to 13.43 months on average is going the wrong way. Hopefully this has more to do with the time of the year and less to do with Sales that happened 8-12 months ago because of the Tax Credit for Home Buyers. Right now Glacier Crossing/The Crossing is in the midst of a Seller's Market but this is one Neighborhood to keep an eye on as we move through Spring. Meadowbrook Neighborhood on Waunakee's southwestern edge is a market that is pretty entrenched in a buyer's market. With over 15 months of supply of homes on the market and 0 homes currently under contract things are pretty slow. Average Days on Market for sold homes in the last 12 months is sitting at 150 days. Homes here have been getting about 89% of original asking price and averaging around $106/sq ft. The 9 homes currently on the market have been sitting there for an average of 233 days. Things will hopefully pick up here in the Spring for homeowners but for right now we are definitely stuck in the midst of a typical buyer's market. Southbridge Neighborhood on Waunakee's Southern Edge shows us a fairly active and balanced market. With 31 homes sold over the past year (2.58/month) and 15 homes currently on the market we get a Months of Supply on Market at 5.81. Remember that we are considering 6 months of supply a balanced market. Homes are getting around 95% of first list price and averaging 106 days on the market. The average sales price in the last 12 months was $465,000 and the average price per sq ft is holding steady at around $127.00. The 4 homes under contract seem to fall in line with the sold's in terms of their numbers as well. A well balanced market in a higher price range.